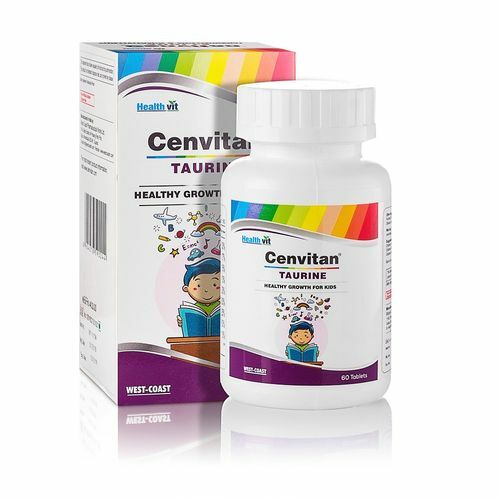 Healthvit Cenvitan Multivitamin Taurine tablet is a dietary supplement for children, to improve their brain and eye development. It helps in facilitating signal transmission by acting as a component of neurotransmitter. Healthvit Cenvitan Taurine is for healthy growth for kids. Multi Vitamins and Multi Minerals are in cenvitan taurine which is an essential in daily routine life.